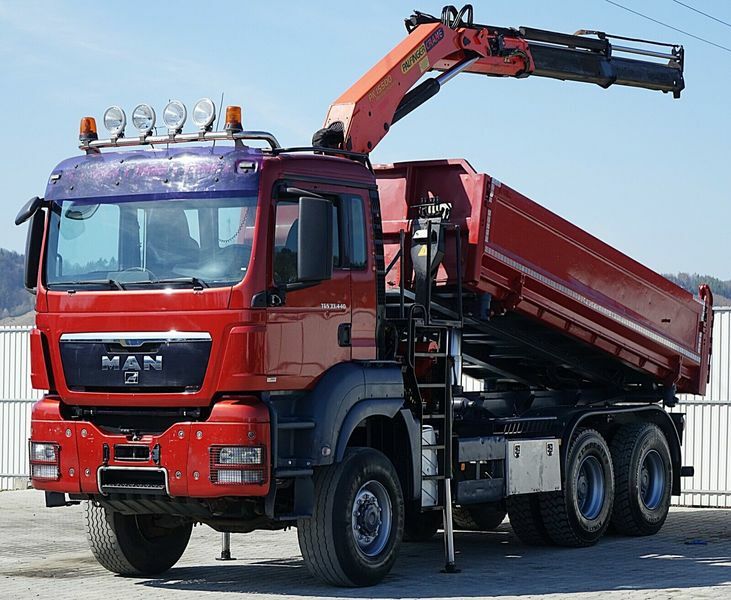 MAN TGS 33.440 Kipper 4.90m + Kran 6x6 !!! The price is 67000 Euro. Engine/driveline: diesel, displacement: 10518 cc, 441 hp, gearbox: manual, retarder/intarder. Wheel formula and suspension type: 6x6, number of axles: 3, ABS. Cab comforts include cab type: day cab, air conditioner. Body: loading length: 4900 mm, loading width: 2370 mm, loading height: 860 mm.